THE ONLINE CURRENCY Bitcoin is making it easier for Irish students to buy unprescribed ‘study drugs’ over the web, fuelling spikes in the popularity of the drugs on college campuses during exam season. A senior doctor at Trinity College Dublin has said that the issue of students taking the drugs is now arising before the exams begin ‘most years’, while the Union of Students in Ireland has warned that colleges are being ‘irresponsible’ for not dealing with the increased use of the medication. Students have described buying non-prescribed ADHD and ADD medication to help them concentrate intensely and cram for exams or essay deadlines. Similarly, narcolepsy and wakefulness prescription drugs are taken to wave off sleep and pull all-nighters studying. Adderall, Ritalin, Wakealert, Modalert and Concerta are some common drugs taken, according to students and college authorities. One recent UCD social science graduate spoke anonymously about the gradual rise in students taking unprescribed medication. “I took Adderall, I took Ritalin, and Concerta. If you have a whole course to learn in one night they work wonders – enough to pass a third-level exam anyway,” he told TheJournal.ie. The former student said that the drugs became more and more popular during his time in UCD. “It’s gone up massively. In first year you’d see the odd person taking one, but now it seems like everyone wants them.” The student said he personally knew many of his friends had used the medication during their time in college. Dr David McGrath, the director of Trinity College Dublin’s health service, has seen the bigger picture when it comes to the potential side effects of ADHD medication: “insomnia, anxiety, agitation, irritability and anorexia,” he explains. When used correctly, the medication is an effective treatment for ADHD, which affects the pre-frontal cortex of the brain, which coordinates attention, decision-making, error correction, affective responses and language. Students without the condition therefore take the medication to try to stimulate that cortex, engineering their brain to boost their attention span and take in more information while studying. Dr McGrath said the issue does tend to arise in Trinity “pre exams most years”, but warned the use of such stimulant tablets should always be prescribed and “closely monitored” by medical practitioners. Less common but serious side effects, he warned, can include psychosis, seizures, mania and stroke. A spokesperson from the HSE also cautioned that using the medication for what they described as “non-medical cognitive enhancement” poses risks of addiction, higher blood pressure and even psychosis due to an “increase in dopamine in the brain”. Studies into the use of the ‘smart drugs’ in Ireland are nearly nonexistent, and a spokesperson from the Irish Health Research Board confirmed they “were not aware of any work being done” on the issue currently. The only existing work on the subject relevant to Ireland is a study undertaken by three UK academics from the London School of Economics and Kings College London in 2014. They looked into the use of the drugs among college students in both the UK and Ireland. Their study found that 9% of those surveyed had taken pharmaceutical enhancers Ritalin, Modafinil, or Adderall. 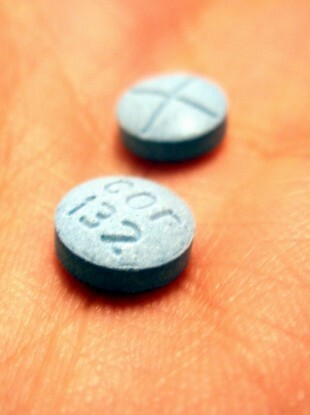 The most popular smart drug was Modafinil, reportedly taken by 6% of students. The ease of access to the drug online was described as a key factor in its popularity, with 64% of those who claimed to have taken the drug saying they purchased it online. Male students in their undergraduate final year were the group most likely to have taken the drugs or considered trying them, and a lack of access rather than safety concerns made up the main deterrent for students surveyed. Annie Hoey, the president of the Union of Students in Ireland, said the USI has been aware of the issue in recent years, based on feedback from students’ union welfare officers in various colleges and Institutes of Technology. Hoey was the union’s national welfare coordinator last year, but felt it would be difficult to say accurately how prevalent ‘study drugs’ actually are on Irish campuses. “These are more hidden drugs that people don’t hear about” she said. Those taking these academic enhancers “don’t fit into the narrative of what we think a drug user is,” Hoey explained. This stigma contributes to a real difficulty in finding out if the number of students using the medication around exam time is rising, as appears to be the case, she said – and if so, by how much. “I think it’s probably time now that a little bit more research goes into it”. University College Dublin confirmed that the university is aware of “some anecdotal evidence about the use of ‘study drugs’ by students”. Out of Ireland’s seven universities UCD is the only one to have an official policy on the issue. A college spokesperson said the university “would strongly advise any student who may have taken or considered taking a ‘study drug’ to exercise caution, and contact our student advisory service or our student health service in confidence so they can get support”. However, Trinity, Maynooth, DCU, UL, UCC and NUI Galway all have no official college statement warning against the use of study drugs, or informing students about potential side-effects. Hoey said that colleges are “irresponsible” for failing to address the apparent increasing use of the enhancers in academics. The attitude from colleges and universities that “if you don’t talk about it, it’s not happening” is cowardly, said Hoey. There is a fear among college authorities that “if you talk about it then [students] will start doing it,” she said. The cost of increasing welfare, health and counselling services to properly deal with this problem would also be “unattractive” to most colleges, said Hoey. “If institutions want to talk about it, then they know they’re going to have to put in the hard graft. The only way to tackle these things is to have policy on it, and be able to support people who are using these things”. One of the most popular websites among Irish students that sells wakefulness or ADHD medication uses the digital currency Bitcoin as a method of anonymous payment, which means students can buy pills online without leaving a trail of personal data, such as their name or address. The site, which is based in India, also has a full refund policy if your package is lost or seized at customs. Bitcoin is a currency used to buy and sell products over the web, and users can set up a Bitcoin wallet by downloading software onto their computer without supplying any personal details. They can then buy Bitcoins using a PayPal account, and transfer them to their Bitcoin wallet to spend money on the internet without leaving a trace. Outside of sites like this, the main stream of supply is individual sellers who facilitate their trade through Bitcoin on the deep web. Their sites are unable to be found by searching on official servers like Google, so that the seller’s computer address can’t be traced by authorities. Instead, vendors post their usernames, products, and a deep web address on window shopping sites that can be found through normal search engines like Google. But buyers then have to search the seller’s username on the dark web to buy the pills. To access the dark web you have to download a special server, such as Tor, onto your computer – essentially an anonymous internet server. Unlike Google, Tor doesn’t index your computer’s IP address to your online activity, effectively meaning your searches can’t be traced back to the computer you’re using. This ensures the anonymity of both seller and buyer in the transaction. The HSE confirmed that it is anecdotally aware of cases involving ‘study drugs’ being used by college students in recent years. A spokesperson said the trend in their use has emerged over the last two decades, and has grown in tandem with the internet due to increased availability. However, they warned that “buying these drugs online from an unregulated source leaves the purchaser with no idea of the quality or the actual content of the substance,” and said that the mental benefits of the medication for academic help seems to be “somewhat exaggerated, and the potential side effects are minimised”. The flow of the drugs into Ireland frequently increases coming up to the college final exam season each summer. The Health Products Regulatory Authority confirmed it made a seizure at customs of more than 1,300 stimulant tablets and narcolepsy medication around college exam season last summer. Buying the medication online has become easier than ever, said the student. “I’ve bought it online, and I’ve seen people order them online. You can buy them for €1 a pill and then sell them for a fiver a pop in UCD,” he said. Taking the medication however can sometimes backfire. “I took one as I was listening to music on my headphones, and I just ended up walking around UCD for two hours focused on the music. It doesn’t agree with everyone; I couldn’t sleep sometimes, [and] some people get itchy and twitchy”. Email “How students at Irish universities are buying unprescribed 'study drugs' to deal with exams”. Feedback on “How students at Irish universities are buying unprescribed 'study drugs' to deal with exams”.